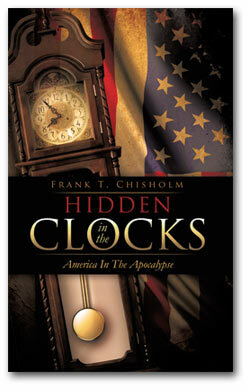 “Hidden in the Clocks…” is an adventure in Bible prophecy: stretching the imagination and allowing us to catch glimpses of heaven’s perspective on its courtship with earth–while finding our own allegiance to the God of time & eternity put to the test. He is also the God of Israel, Bro. Chisholm reminds us…and was once the God of the world’s one remaining superpower. A must read, for anyone seriously considering the destiny of these United States.